The narrative revolves around a pair of stranded souls. Both are recently deceased: one through an accident, the other via murder. “They hear of a legend told among ghosts—the tale of a living witch who can shield spirits from their fate and return them to the world of life… if she thinks they’re worthy. They search for her while the pull of their final resting place in the afterlife gets stronger and stronger,” Fawkes explains. A parallel story plays out as two paramedics traverse the city saving lives. Throughout the graphic novel, these two narratives accentuate each other; at their most unsettling, they converge in the worst ways possible. “Every restriction our ghosts knock their heads against, every power they have and feature of their landscape needs to inform the full, final shape of the story,” he adds. 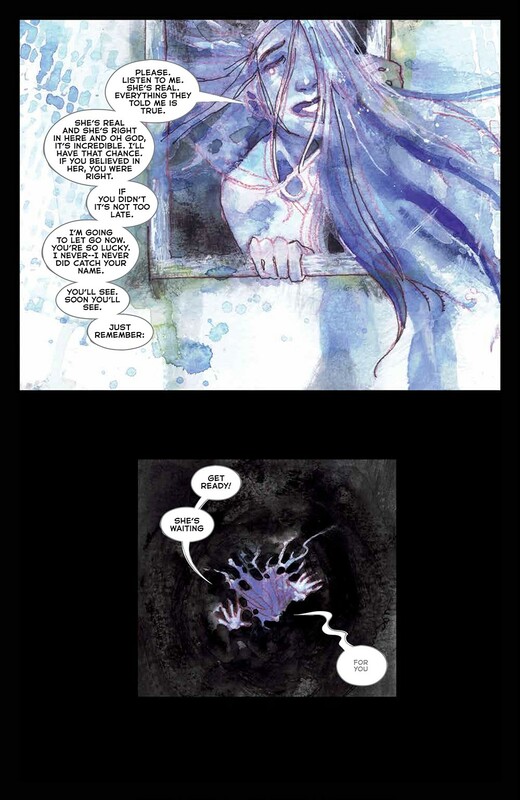 When discussing his story’s blend of plot and setting, Fawkes discusses another work of his: the phantasmagorical bodies and landscapes of Intersect, an abstract body-horror opus released in 2015. 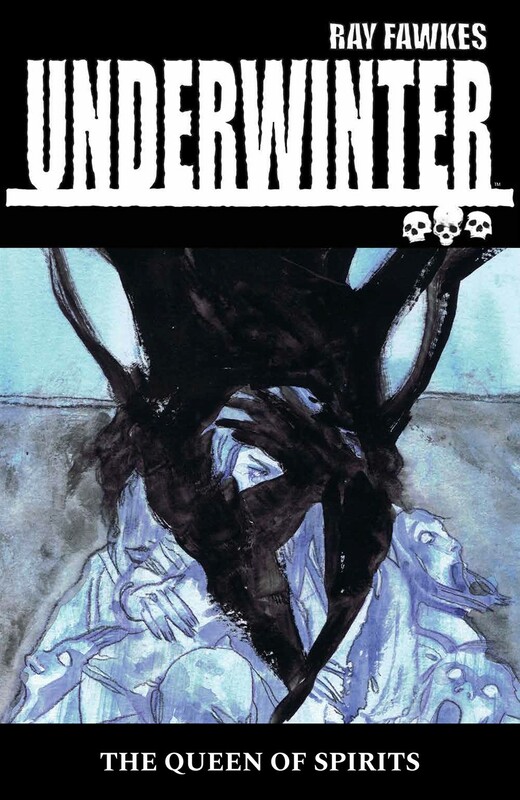 Underwinter: The Queen of Spirits is available now. The afterlife in Underwinter: The Queen of Spirits is all about being set into a track and forced to move along, and about the struggle to define yourself while experiencing that push.